By 1857 Frederic Edwin Church began working with commercial agents and galleries to display each of his large-scale paintings, which he called “Great Pictures,” as a solo event. Viewers paid an admission fee and received a printed broadside to enhance their sense of awe and appreciation of the artist's technical prowess. By definition, every Great Picture was, to a greater or lesser extent, surrounded by orchestrated publicity and newspaper and periodical coverage. The Icebergs was conceived in the spotlight of media and public expectation. For nearly two years between the summer of 1859 and the spring of 1861, the American public knew a major Arctic painting was forthcoming from Church's easel and awaited its completion with eager anticipation. In every essential sense except one—the canvas was painted behind the closed doors of Church's New York studio—The Icebergs was a public work of art. The Rev. Theodore L. Cuyler, "Among the Icebergs," Independent (New York), May 2, 1861, 1. M.C.A., "From New York: From Our Own Correspondent. New York, May 2," Springfield (Mass.) Daily Republican, May 4, 1861, page 1. 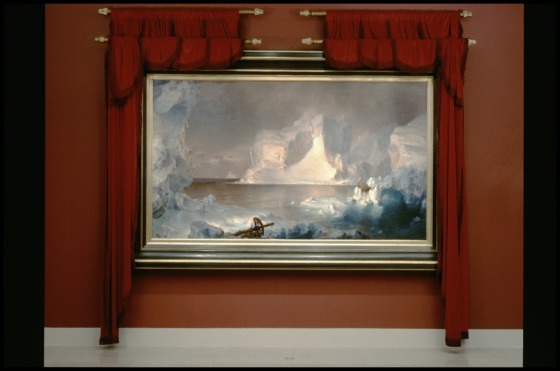 Gerald Carr, Frederic Edwin Church: The Icebergs (Dallas, TX: Dallas Museum of Art, 1980), 25. 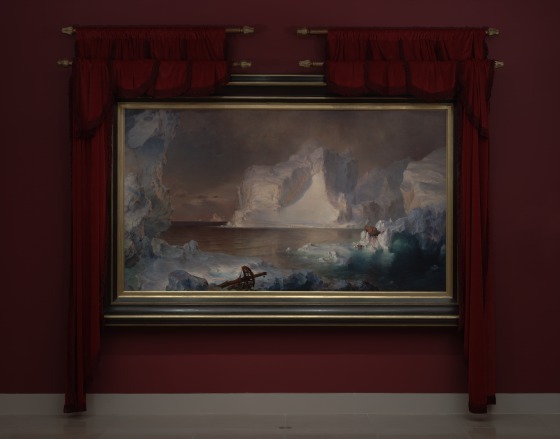 Eleanor Jones Harvey, The Voyage of the Icebergs: Frederic Edwin Church's Arctic Masterpiece (Dallas, TX: Dallas Museum of Art, 2002), 45, 61.